Rumour has it that Albert Einstein spent his last few hours on Earth scribbling something on a piece of paper in a last attempt to formulate a theory of everything. Some 60 years later, another legendary figure in theoretical physics, Stephen Hawking, may have passed away with similar thoughts. We know Hawking thought something called "M-theory" is our best bet for a complete theory of the universe. But what is it? Since the formulation of Einstein's theory of general relativity in 1915, every theoretical physicist has been dreaming of reconciling our understanding of the infinitely small world of atoms and particles with that of the infinitely large scale of the cosmos. While the latter is effectively described by Einstein's equations, the former is predicted with extraordinary accuracy by the so-called Standard Model of fundamental interactions. The standard model of fundamental interactions provides a unified framework for three of these forces, but gravity cannot be consistently included in this picture. Despite its accurate description of large scale phenomena such as a planet's orbit or galaxy dynamics, general relativity breaks down at very short distances. According to the standard model, all forces are mediated by specific particles. For gravity, a particle called the graviton does the job. But when trying to calculate how these gravitons interact, nonsensical infinities appear. A consistent theory of gravity should be valid at any scale and should take into account the quantum nature of fundamental particles. This would accommodate gravity in a unified framework with the other three fundamental interactions, thus providing the celebrated theory of everything. Of course, since Einstein's death in 1955, a lot of progress has been made and nowadays our best candidate goes under the name of M-theory. After this exciting discovery, theoretical physicists devoted a lot of effort to understanding the consequences of this seminal idea. However, as often happens with scientific research, the history of string theory is characterised by ups and downs. At first, people were puzzled because it predicted the existence of a particle which travels faster than the speed of light, dubbed a "tachyon". This prediction was in contrast with all the experimental observations and cast serious doubt on string theory. Nevertheless, this issue was solved in the early 1980s by the introduction of something called "supersymmetry" in string theory. This predicts that every particle has a superpartner and, by an extraordinary coincidence, the same condition actually eliminates the tachyon. This first success is commonly known as "the first string revolution". For example, we could somehow be forced to live in a four dimensional world without any access to the extra dimensions. Or the extra dimensions could be "compactified" on such a small scale we wouldn't notice them. However, different compactifications would lead to different values of the physical constants and, therefore, different physics laws. 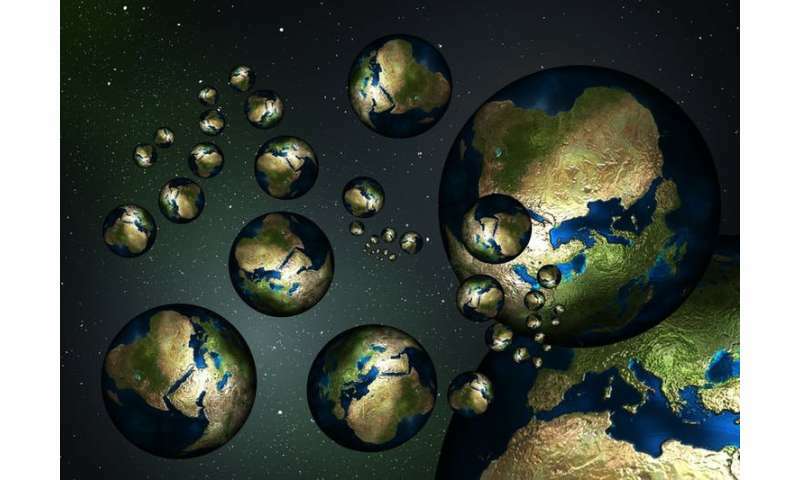 A possible solution is that our universe is just one of many in an infinite "multiverse", governed by different physics laws. Most great physicists and cosmologists are driven by a passion to find that beautiful, simple description of the world that can explain everything. And although we are not quite there yet, we wouldn't have a chance without the sharp, creative minds of people like Hawking. Of what use is a "theory of something" that cannot make a decent prediction? testing in favor of subjective metaphysics would be totally anathema to Einstein. "physicists proposed that the five consistent string theories are actually only different faces of a unique theory"
actually just one physicist, Edward Witten. There must be something to M theory, but it is probably like a shadow. Current day theoretical physics is at the point that they are trying to unify laws describing black holes, big bangs with laws that describe particles smaller than an atom. There's not much testing and verifiying we can do on those levels. Einstein's gravity is even more accurate on a larger scale and also there it took some time before his theory could be tested by observation, it was only last year we discovered gravity waves, some 100 years after his discovery. String theory describes events smaller than QM and bigger than the universe (if any), don't you think it needs time before we find ways of testing it? Newton made theories based on observations, but Einstein was already theorising ahead of observations. So why not give strings a chance? It does address the gap we have between QM and gravity, that makes it worth checking out. Einstein's General Relativity (1915) was developed with careful consideration of empirical evidence, such as the equivalence of inertial and gravitational mass, and the anomalous advance in the perihelion of Mercury. General Relativity unequivocally predicted the apparent displacement of stars during an eclipse. This was a bold quantitative prediction. It was confirmed in 1919. String theory has had over 4 decades to come up with well-defined and rigorous predictions. It has totally failed to do so. All we have so far is hype. True, it is interesting and useful in the pure math dept., but as physics it remains in the pseudoscience category. I think you misunderstand String Theory. There isn't one 'string theory' but an entire family of theories depending on the parameters you choose. The current state is that these parameters are being constrained (i.e. the family is being narrowed down to few members..mostly within M-theory), but the number of open parameters is still large. Particularly since it's an 11-dimensional theory makes it kinda hard to test (as of yet) in our 4 dimensional spacetime. Only when the constraint hits the point where it's very narrow will String Theory or M-theory be able to make the kinds of predictions that will lead to tests which could falsify it (in its entirety). Currently it seems the most promsing avenue for unification of gravity and quantum mechanics. I remember watching a show years ago about string theory and a prominent physicist (I forget who) blamed string theory for wasting the productive years of many young physicists who were obsessed with the promise of string theory. As far as I know after decades of work nothing useful has resulted from string theory. Lol, it's a mathematical Holy Grail. Nice try, Mathematically; however, if you see the obvious, charge as a center of its field, a point, universe solved! tblakely1357: im not a physics guy, but I wonder about that too. You see that bridge collapse in Florida? I see insanity like that everywhere, and then all the brains clustering into theoretical physics to focus on cosmology and such. There should be infinite things to discover just in basic, classic physics (e.g. complex structures you could build with surprising properties nonetheless consistent w classic physics.) But everyone is clustering into this brutally competitive sector with very low payouts. Building pedestrian bridges is engineering, not science. As far as continuing research in M-theory, it's necessary since there is math in it we do not yet understand. Like its progenitor, General Relativity Theory, M-theory is enormously mathematically complex and requires a great deal of research that won't yield much until someone who has the math comes along and figures it out. We're still waiting for that person. Well I'm not one to insist that people don't do what they really want to do, I just find it kinda sad that so much work has gone into a theory that doesn't look like it'll ever pay off. I do wonder much could have been accomplished if only half of the people who've focused on string theory had worked on other things. Remember, we aren't not talking about a few people working on a theory for a few years, we're talking about hundreds of bright people working on string theory for over 30 years and coming up with zip, nada. One of the important things to understand about GRT is that Einstein used a newly discovered mathematical tool, the tensor, found in 1900, to create it. It's pretty obvious that we're waiting for such a tool to be discovered by another mathematician which will do the same for M-theory. All we can do is teach all the people capable of math all we can, and then wait. That's how science and math work. During the 20th century, when physics was absorbing the enormous changes wrought by GRT and quantum theory, many fruitful avenues of research opened up and were easily followed up to amazing technical results. Now, in the 21st century, we are finding that much of this material has been absorbed, and there don't appear to be so many new avenues of research. It may be decades or even centuries before we see any time like the early 20th century again. I have to agree with both novasp9 and mackita. There is far too much pseudoscience. Does a house build bricks or do bricks build a house? So then we are in agreement that quantum physics precedes (bricks) classical physics (house) and that they both exist and exist not in competition, but in harmony. There are different laws in classical physics then quantum physics because classical physics deals exclusively with 4 dimensions, and quantum with more than 4; I'm not going to speculate how much more. Is there ultimately more than 4 dimensions; Yes. Is there more then 4 dimensions that we can both simultaneously physically and consciously experience; no. Is it possible that our minds can access a 5th dimension; yes. Essentially what determines physics in the universe is at what scale are you looking such that classical physics is at the top of the pyramid, and the smaller you go the more dimensions and physics are exposed. Trying to agglomerate this is insanity itself. So engineering is not science? A computer is an engineered object, yet there is a field of study called computer science to discern yet unknown properties about what it does. Many engineered objects have unexpected emergent properties. Of course, claims about systems at this scale are actually testable and have consequences, not a good place to hide incompetence. Nope. Science is about discovering facts and making theories about them. Engineering is about making technological artifacts using those facts and theories. Computer science is about discovering facts and making theories of computer programming. Most real computer scientists work at universities, not corporations. Programmers work at corporations, though a few computer scientists are generally kept on staff. The corporate environment is not conducive to pure science. You're drawing a line where none should be drawn. Turing had his ideas, and physically realized them in a computer, the subject of continued scientific inquiry, which has lead to newer and better computers along with advancements from material science. It's a loop. Science at the corporate level happens with R&D focus groups, etc. Huge advances in AI have been coming from places like Alphabet and Chinese companies, just as advances in space travel are coming from private sector. Science is something we do, not something we are. Tenure and peer review don't validate theories, results do. If the wheels aren't hitting the road with a theory while the world has all these other existential threats, maybe it's time to reevaluate the focus. 'Natural Philosophy', as it was first known, distinguished itself from other philosophical schools and especially from religion by basing all science on observable, testable and predictable phenomena and did not accept any philosophy or religion that required faith based assumptions. Thus science always built on other science. Scientists occasionally took leaps into new physics during the quantum revolution but the bridge back to established physics quickly followed. This is not the case for string theory which requires a huge leap of faith to the string, which is not an extension of established physics, has never been observed, never involved in successful experiment or prediction, and for which no explanation of the constituents has even been suggested. Small leaps are like probes into the unknown but string theory has been a leap of faith on the same scale as God belief which also promised to explain everything yet ultimately explained nothing. Wow, leaping from Turing to microprocessor-based computing with a handwave at what came between is pretty ignorant of the history of computers. Not to mention the development of standard algorithms in programming. I don't think you know very much about computers and programming and see little point in continuing this conversation. It's very much like arguing with someone who doesn't know anything about internal combustion engines about diesel locomotive design. Here, let's test this out: how does the quicksort algorithm work? And why is it better than a bubble sort? "A consistent theory of gravity should be valid at any scale..." But if gravity has no effects on small scales how does one do that? The prime driver of gravity is mass; if something has very little mass, it will have little to no gravity. Isn't there a mass cut-off point where gravity stops existing? I don't see how to achieve the goal of validity at any scale if the effects are not distributed over the entire scale. I just like this stuff, I don't know anything about it, but it's interesting. String theory; "A Theory of Everything, Proven by Nothing". I saw that somewhere and I like it. You're pulling a red herring by asking trivial questions. Whether a person knows how bubble sort works is irrelevant to the question of the difference between engineering and science. Science is a philosophy, science also literally means knowledge. A bridge engineer is doing science every time they build a bridge, as they are discovering new things about bridges and getting systematically better at it. Making an artifact is always an act of discovery about reality, while "pure" science is an armchair philosophy - an exercise in abstract thinking which in itself does not result in new knowledge. Likewise, a "mere programmer" in a company is necessarily accumulating knowledge - science - of the thing they're working on. They're rarely just "software engineers". Without googling them, I'd say bubble sort is slower because it has to run through the list/array a large number of times to ensure that all values that need to be swapped around end up in the right order. Quicksort had something to do with splitting the array in half and half again. Now, the question is, knowing these, what have we proven, DaSchneib? Absolutely nothing. It was just your chance to flaunt trivial expertise. The main criticism is that String Theory has so many moving parameters that it can be tweaked to produce just about any description of reality. You tweak it a little and out pops new equations that describe a different reality. So it lacks any predictive power, i.e. it's not science, because it predicts everything. Whatever happens in reality, you can tweak string theory to agree, but to do it the other way around is impossible because string theory doesn't suggest what the parameters should be. It just gives you something like 10 to the power of 500 different realities that might exist and says "yours is one of these. Take a pick. Good luck." Actually it lacks not only testable predictions, but even its postulates, some of which are already testable already failed in experiments. Wrong, your article is about lack of detected micro black holes but vast majority of string theories do not predict any micro black holes at LHC energies. Even your popsci article explains that it does not rule out ST, cant you read? String theory is wrong. Neither it is fundamentally sound, nor it is elegant. no mention to Edward Witten??!! WTF??!! The string theory and the religious contemplations of ancient Greek mythology have a lot in common. The Greece e. g. postulated a God or Goddess for the various aspects of daily life or encountered problems. As their encounters or problems increased, so did their deities. Where lies the difference to the string theory? What is a pay out? It seems to me there is a lot of work going into solving practical problems - such as how to build better bridges. I think this specific case will come down to someone not doing their numbers correctly - and not enough double checking - but time will tell. Surely the point is that every bit of knowledge we explore - is one more piece in the puzzle. Who knows what the 'pay out' will be? I wish we would take every dime that is currently put into weapons - and transfer them into education, and science research - but that's just me..
Engg is applied science. You use too many words to say too little. "Applied science is a discipline of science that applies existing scientific knowledge to develop more practical applications, like technology or inventions. ... This includes a broad range of applied science related fields from engineering, business, medicine to early childhood education." -rather than trying to make them up yourself. As if you actually know what you're talking about. Simple, @Eikka: I want to know whether the person bloviating about computer science even knows what computer science is or not. When you do science you don't know what result you're going to get. That's why you're doing science. I don't really want anyone doing science on bridges. Let's stick to engineering for bridges, shall we? That doesn't mean we always know what's going to happen; it just means we have a pretty good idea it's not going to just fall down. We're not always going to be right but we have a better chance than if we just wing it. As for string physics, while it is true that there are a large number of possible Calabi-Yau configurations, it is also true that many of them are trivially ruled out; still leaving a large number, but not all possible ones. And it is also true that string physics cannot be correct for just anything at all, as you claim. So that's two different ways you're making stuff up again, @Eikka. Maybe you should learn some about string physics if you're going to blather about it, lest you look like another idiot who is bloviating about something they know nothing about. "Although the physical phenomena described by M-theory are still poorly understood, physicists know that the theory describes two- and five-dimensional branes." Engineering is the application of scientific knowledge and mathematical methods to practical purposes of the design, analysis, or operation of structures, machines, or systems. In other words, engineering is the practical application of science and math. It's not science, and it's not math. Says so right there. Actually @Mark, you would more correctly infer that the matter and force components of our universe are 2- and 5-dimensional membranes on an 11-dimensional bulk. I think this specific case will come down to someone not doing their numbers correctly - and not enough double checking - but time will tell. Actually I disagree here. I think it will turn out that a missing component-- missing not because it was left out of the design but because it hadn't been put in yet-- will turn out to be the key. So this was not an error in the design or calculation, but in the order in which things were done. An error in practice. I don't think we disagree. If you look at the design of the bridge - it was a suspension bridge. Look at the 30 second mark of this video - https://www.youtu...VzFvbUNY The roadway had been put in place - but the overhead support cables had not been attached. I think the engineers had miscalculated - thinking the roadway would be OK without the overhead support cables. Really, most had elementary mechanics for a BS! Stupid construction! They event don't know what these branes are supposed to describe: whether particles, vacuum or both. Around 2003 string theorists derived using the methods of http://arxiv.org/.../0303194 – googol to the fifth power – of possible solutions. This number has been recently increased to 10E+272,000 , which radically increases the estimated number of possible solutions of M-theory, thus making it even more untestable, than before. Why doesn't anyone state a proper Theory with Axioms and Logic that cannot be challenged. I do. Comments? Also one ensures proper foundations in theory an construction. So when not held up perpendicular a proper cantilever is in the design and construction. Known tension and strength of material, etc. at every point allowed degrees of freedom. Falling? That's funny! M theory? Why? Huh? Explain, Logically? Did you mean falsify with or without acceptable logic, i.e. proof! So now we're questioning Proof as "must be" falsifiable which is defined by an acceptable truth, Axiomatic Structure? Sounds like a denial of any Modus Ponems? Then we have nothing but conversational logic, even if undeniable! Maybe this is why so many consider Einstein a Genius. Logic without a provable axiom, only accepted without logic. Or named objects without realize-ability. Anyway, we must avoid nonsense when applying the obvious! Proof and disproof of Theory is not the discussion. The discussion realizes false and realizable as two different things. So right, a theory can be logically disproved by applying statements that are only members of the Universe of Discourse, i.e. Formal Logic: all statements are explicitly True or False, note: this does not accept QM as a Theory only a Gerry Rigged Wave equation, or Einstein as it is circular, Not allowed! Or The Standard Model, naming nonexistent entities as axiomatic without boundary conditions, bizarre! So always define your UoD and how Truth is evaluated! You really think that sort of decision is ad hoc? Designers submit erection plans along with the design and it was approved to be erected that way. That bridge span was obviously designed to support itself while the rest of the structure was erected, or else they wouldn't have been allowed to install it that way. It sounds like either the post tension cables were not properly anchored, someone forgot to anchor them, the concretre mix was off (hence the cracks) or similar. Bad design and/or construction aside, the engr who left the voicemail about the cracks and failed to scream and wail until it was resolved, should be dismembered. So a mistake was made, evidence: Not to plan! Here let's stick with what can be learned in the class room and ignore the day dreamer as c is Lambda Nu a constant, everywhere, not speed! speed emitted wavelength divided by measured period, high school algebra! Forget the obvious failure, not a matter of debate. Method? A consistent theory of gravity should be valid at any scale and should take into account the quantum nature of fundamental particles. Regrettably, like most of his contemporaries, SH failed to grasp the intrinsic nature of the Universe. EVERYTHING in the universe is expanding, and that expansion gives us what we experience as TIME. The phenomenon we call gravity is a consequence of this expansion, and gravity DOES NOT EXIST as a force. As TIME is an effect of the state of all matter in the universe, a collision of black holes converting matter to radiation causes a disturbance in our experience of TIME which we perceive as a wave and mis-call it a gravity wave, when actually it should be called a TIME-QUAKE or something similar. No amount of effort put into M-Theory or similar will ever account for a force called gravity, as it doesn't exist, and the graviton will never be found. Those with More Time & Interest should research THIS; Prof. Stephen Hawking put Vedic before Einstein's (E=mc2). I haven't read it, because I am NOT interested. As so often is the case, in this case, the scientific theory comes first before a practical way to test it is worked out. Just because we don't yet have a way to test a theory, doesn't necessarily mean we never would thus you shouldn't dismiss (like you did) a theory as being "pseudoscience" just merely because we CURRENTLY haven't worked out a practical way to test it; What if we then later find a way to test it? "pseudoscience" is what was never scientific in the first place, not necessarily what we cannot YET test. You speak of Einstein but are you aware that even his theory wasn't immediately testable because when he initially formulated it, no one had worked out a practical way of testing it? -that came later. So would you have at that time dismissed his theory (relativity) as "pseudoscience" before someone had a chance to work out a way to test it? String theory has had over 4 decades to come up with well-defined and rigorous predictions. It has totally failed to do so. That is just because it is harder to find a practical way to test the theory (by deducing a testable prediction), not that a practical way to test the theory will never be found. It is creditable that someone working with string theory (or some variant of it) could come up with a practical way to test the theory in the next few decades. Why is the "over 4 decades" figure relevant? Is there an official time limit to this? What if it takes a whole century before someone comes up with a practical way to test the theory and then it is tested and proven correct; would you still dismiss it as "pseudoscience" because nobody worked out a practical way to test it in a totally arbitrary and illogical time limit of, say, "4 decades", chosen by you? There is no definable time limit to this. Some proven scientific theories did take over "4 decades" to test. Since I am NOT interested in this subject, those who are proficient in these should INVESTIGATE as to the veracity of this ! when some people start to ignore both the evidence of untestability of their theory (like the evidence of too many possible solutions of string theory), . I am afraid you are exposing your ignorance yet again. This problem was solved long ago so you are out-of-date. Nobody "ignored" it and, in fact, M-theory was at least in part formulated as a solution to it. "...physicists proposed that the five consistent string theories are actually only different faces of a unique theory which lives in eleven spacetime dimensions and is known as M-theory. It includes each of the string theories in different physical contexts, but is still valid for all of them. This ... has led most theoretical physicists to believe in M-theory as the theory of everything – it is also more mathematically consistent than other candidate theories...."
You really should study the science before rubbishing it. And the people that came up with is are NOT "crackpots"
"And the people that came up with it are NOT, as you claim, "crackpots", but rather smarter than you and I. If you still persist in calling them "crackpots", why don't you can come up with a better theory of everything and collect you Nobel prize? -answer, because you are less smart than them. How can science be applied under so many insults and nonsense. If you ignore them you die alone! Consider a World based upon nonsense and the death of Logic, i.e. Hypatia! String theory cannot predict them yet. However, it may also turn out that they largely cannot be predicted. Does a theory of gravity predict exactly what planets orbit in our system? No, as planet creation process is mostly random. It can only predict their motion after their masses and positions are postulated. Same could very well be true for many physical constants, if we live in a multiverse. Maybe many different string vacua are real and we merely live in one of them. Certainly string theory landscape and eternal inflation point towards this direction. Worth noting that it's easy to see why this misconception arises. It's either through a misunderstanding of how hadron masses are predicted, or a misunderstanding of the meaning of "elementary particle" to include hadrons. Hadrons are composed of quarks and gluons, and quantum chromodynamics (QCD) allows us to predict the masses of expected combinations of quarks and gluons. But the masses of the fundamental particles, like quarks and gluons, and leptons (neutrinos and electrons and muons and tauons) are free parameters in the Standard Model of particle physics. If string physics turns out to be correct, it should allow us to make postdictions of these masses based on the resonance modes of the strings on the Calabi-Yau space that comprises the geometry of our universe. In fact, this is another attraction of string physics; if we can identify the correct Calabi-Yau geometry for our universe, we will be able to cut the number of free parameters from 26 to about 13. In addition to that, it will also explain the strengths of the four forces, which reduces the free parameters to nine. The CKM and PMNS matrix mixing angles may also turn out to be determined by this, reducing the free parameters to three, and I haven't thought about it enough to see if the others might yield as well. This would be an enormous simplification of particle physics, and comes along with a quantum gravity theory for free. You can see why physicists and mathematicians are so interested in string physics from this. A propos of this, does anyone know if loop quantum gravity (LQG) offers these simplifications? You can't create a world with de facto axioms. One axiomatic dimension for all fundamental quanta leaves an externally set parameter. An accurate idea arises in relation to experiment and observation. The further the distance between observation and idea, the more ideological it is. String theory has no experiment, no observation. No need for preserving even an ounce of the metaphysics of realism in a scientific theory. The scientific method establishes truth - say 5 sigma or something - through hypothesis and observer verification. Only inference is not enough. If the theory only postulates 11 dimensions, it's superior to one that postulates 19 (and I would argue more than that only based on detectable dimensionality and the fact that the PMNS mixing angles and the neutrino masses are not included). Remember Ockham's Razor? When creating theories, the less axioms the better. This is, errr, axiomatic. Experiment at the LHC is ongoing. Do pay attention. Meanwhile it's been pointed out that it's worthless to pretend ongoing fruitful research is not useful because it violates your assumptions. Predictions of GRT made nearly 100 years ago have first been confirmed within the last couple of years. Hate to tell you but sometimes it takes a long time. First thing you learn is, you always gotta wait. Theory without Logic is nonsense! end quote, is even affected by the lack of micro black holes at the LHC, and I'm not even sure I believe that much. I think there are two main reasons why so many scientists are infatuated with string theory. One, the math is pretty and two, it's an opportunity to one up Einstein. Interesting to see someone remembers Ockham's Razor after all. Why does M-Theory with its multiple assumptions and vague validity attract so many adherents, while Expansion Theory, which is straightforward and logical (and explains all phenomena such as gravity, rotation pattern of galaxies, etc. ), attracts only opprobium? Does no-one bother THINKING anymore? The center of the universe or its point of origin is time 0. You cannot say the expansion of the universe is time because time is responsible for the flatness of the universe. Something else drives the expansion of space along a time continuum. Time stays constant which is why gravity stays constant. So in fact, its 4D space + Time for a total of 5 Dimensions; this is consistent with everything that has been observed. This doesn't include the 3 fundamental forces (gravity isn't one of them) and other quantum dimensions. The fact the universe is relatively flat means that time existed before 4-dimensional space. Whether time is of equal speed to the 4th dimension of 4D space depends on whether the universe is becoming flatter or merely maintaining its flatness. If it is maintaining, then both time and the 4th Dimension of 4D space are at relatively the same speed. So, nonsense is the modus operandi! Completely illogical and undefinable. Better stated as poorly documented nonsense as science. We have allowed ourselves to accept the perusing of idiots! If charge is only the center of its field, I see no need for any of the nonsense. All things follow Logically from this axiom! So ignore this and continue with bull$hit! Has anyone considered the possibility that, from the point of view of super symmetry, the quarks and leptons that we see are the high energy branch of the symmetry, and the low energy branch has not been detected by us? Which version of string theory doesn't utilize extradimensions? Only extra dimensions of certain relatively large length lead to production of black holes in LHC. Most string theories use far smaller dimensions and do not predict such black holes. Lee Smolin's 'The Trouble With Physics' is an excellent audiobook that covers many salient points on the development of string theory. Highly recommended. The universe is not expanding, we are within an accelerating Galaxy stream, Red Shift. Light speed is from 0 to infinity, i.e. original_wavelength/measured_period, i.e. Einstein false,. The center of the charge's field is charge not a particle, a point, i.e standard model as nonsense, The field is everywhere therefor do the summation it equals Gravity. Light is caused by repetitive motion of the center. Charge always comply s, there is nothing else, Modern Physics is a delusion! First thing you learn is, you always gotta wait. You are not the man. We are all discussants and all scientists we are a kind of device like a computer, and it is in the hands of the one who formed us, as we formed a computer. Now, we are trying to find out from that one our product what we do not possess any knowledge. Of course, the computer only uses what we put into it. Only our Creator has a different intent with us than we have with a computer. The intention of our Creator is to perfect us to the extent that we adapt to the laws of nature that we can not change because they are with us. So the computer will never be able to manage with its conscious creator. I look at all the phenomena in the universe in the way that Creator formed it, and in no way the way those "human computers" have imagined. With the structure of the universe and its laws, in no case do they disagree, in the first place, in Einstein's theory because he is from the ranks of human beings who have the task of ignoring their Creator and that those who turn their fabrication into a law according to which the nature of the sea to behave. Lorenz also presented such a fathead with his transmissions. Anyone of you or anyone from science uses these contaminating "antinauthoric pills", it has lost its connection to the Spiritual entity of the universe, which is the Creator of everything made up of matter. You all have as many different explanations as you have of ignorance and misconception of the universe. -not recognition of the properties and causes of the appearance of matter, gravity , magnetism, light, heat, various waves and radiated, ignorance of the law of motion of celestial bodies and their processes of formation and dissolution. You are discussing and inventing various theories and now it is on the order of M-theory, and where you have buried all the previous theories. It seems that you own a black hole in which all the scientific disagreements end up in that hole. Today's laws, both in legal systems and in physics, are approaching one final rule, which is: THIS GOVERNMENT WHO HAS MAJORITY FROM OURSELVES (more than 50% of existing ones) Now we expect the majority to pass a law that can be voted on: HAVE KILL ALL ONE WHO ARE NOT IN THE MORE! Ethan Siegel is scientific klaun. 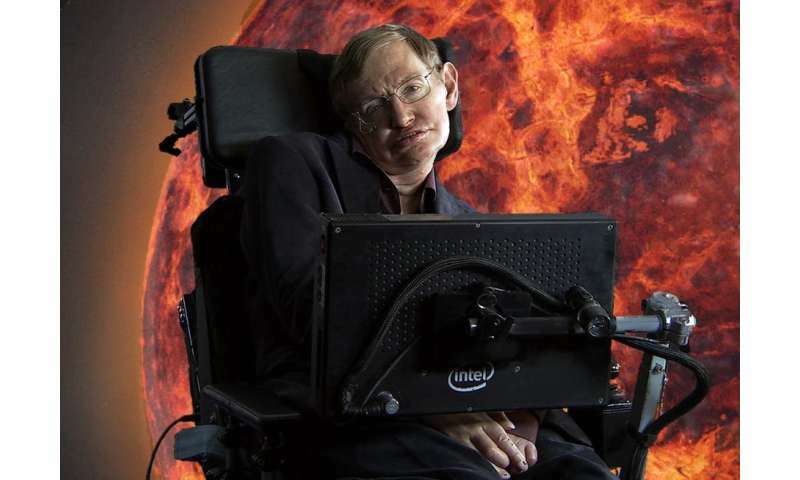 Stephen Hawking in his health, he could see infinitely many universes, depending on what he imagined in such a state. People who write such nebuloses use their free will, as a program that only serves them to live, and not to direct their awareness to explore the true causes of the phenomenon. If we would live at the water surface and observe it by its own ripples like waterstrides or https://phys.org/...les.html would replicate itself at different places of the sky. Bull! Actually; as a 2 dimensional being; how do I adjust my camera? Well, I guess you could be a leaf in the wind; or, really paying attention in class. Why to a class you do not conceive conceptually, why go? From where I sit it all come's down to the centers of these diametrical spherical fields. it's entire presence at any point in time, and nothing but its field at every point in space at that point in time; I can still see the Velocity Vector! Has anyone been paying attention!? Really, a.k.a. Nonsense versus Logic? Gimme 1, just one axiom for any of these multiple Theories. Not trying to be disrespectful; respect Logic! Remember this date! We would be able to see in all directions; well you could polarize the points on the line, a plane.. Ohh I get it, we've been looking at it the whole time; got centers moving about, well maybe; however, I suspect potential!. If a "crank/outsider" had come up with String/M-theory stuff, they would have been blasted unmercifully by 'respected theorists'! But let said 'respected theorists' come up with such useless/untestable garbage, then they shall be applauded and given accolades/grants ad-nauseam! 1) the 'strings' are "tubes of energy", but what that energy ACTUALLY IS is still NOT explained! 2) the hypothesized Supersymmetric entities that supposedly 'saved' M-theory is NOW ITSELF being proven via LHC experiments/observations NOT to exist! 3) a 'particular vibration' of such string(s) supposedly "providing the graviton" (so as to 'include Gravity' in M-theory) is UN-physical BUNKUM. 4) at NO STAGE does M-theory (and associated hypotheses) provide an actual PHYSICALLY REAL EFFECTIVE MECHANISM to 'manifest' OR 'explain' all these claimed wondrous properties for M-theory 'entities and interactions' in observed phenmena from infinitesimal to infinite. If a "crank/outsider" had come up with String/M-theory stuff, they would have been blasted unmercifully by 'respected theorists'! Despite our past exchanges, I am sorry to say that I agree with you. How can they talk about 2-dimensions? Even elementary particles have 3 dimensions, they aren't singularities. So nothing physical can exists as a two-dimensional object.